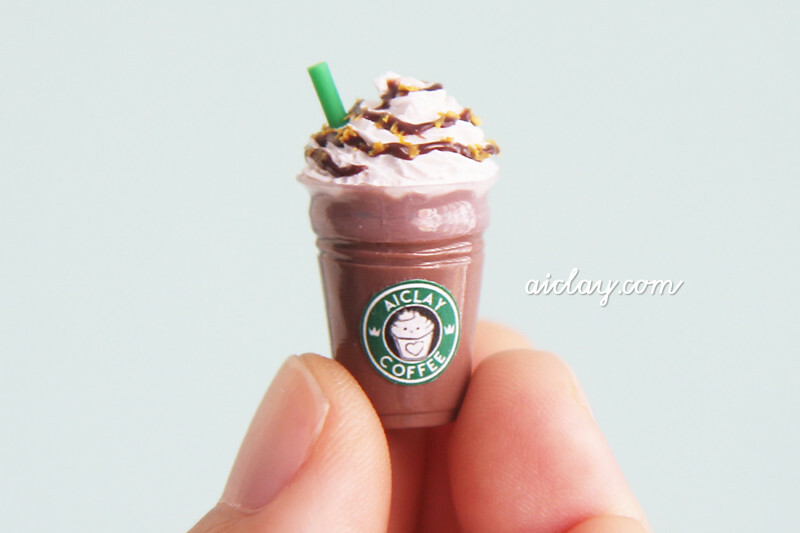 AiClay - a Haven of Miniature Food: A small frappucinno to go. Tiny please, thank you. 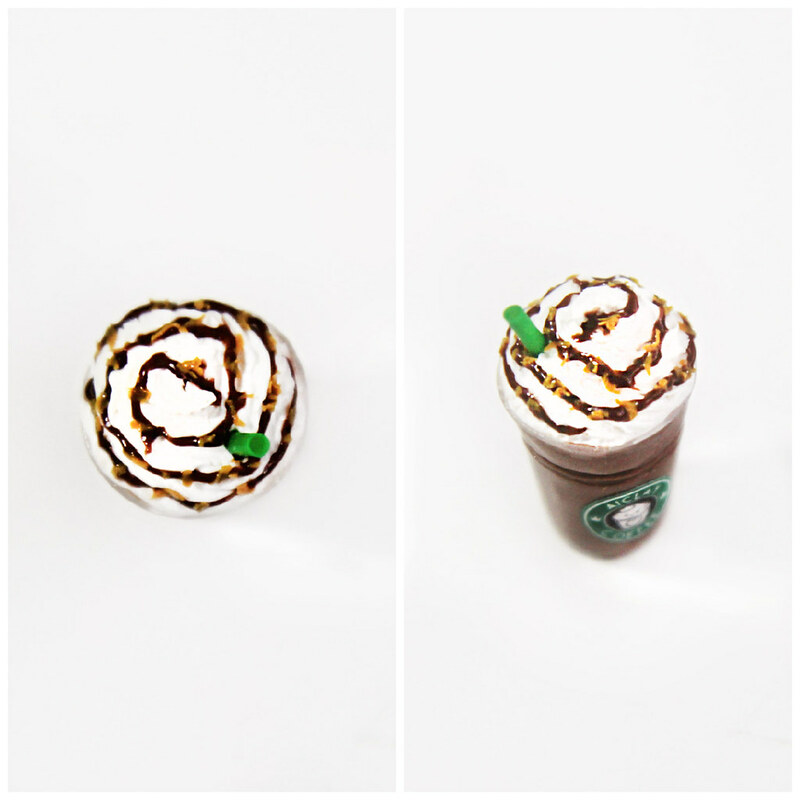 A small frappucinno to go. Tiny please, thank you. After some persuasion from my partner JY who has had enough of looking at cafe cakes and waffles whenever he pops into the blog, I have decided. That I will restart my engine for blogging. Okay here goes. It will be crazy for me to put up all the backdated photos, so I'm going to start with the newest miniature work. 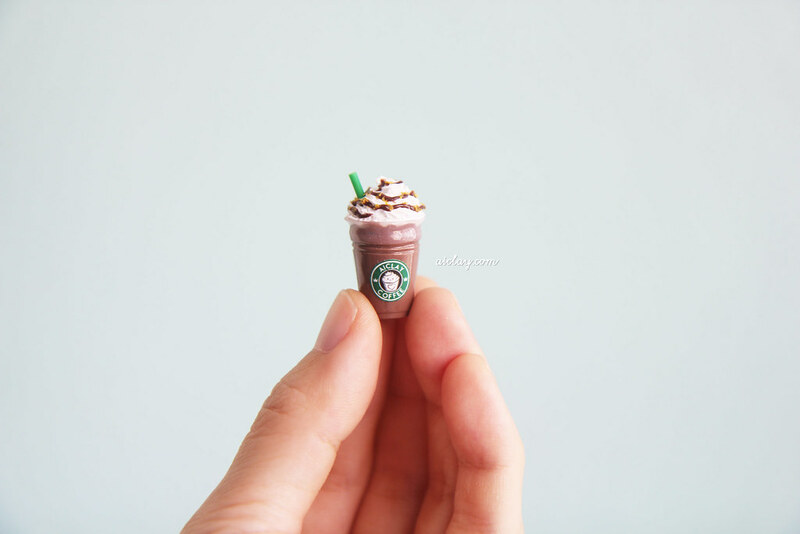 It's a tiny frappucinno! It's also available in the store. Or iced blended coffee, just to avoid any copyright situations ahem. I made this using a photo of a Starbucks drinks as reference, but after much research I still can't figure out what is the exact name of this drink. The closest I have so far is the Zebra drink in Starbucks' secret menu? Any help here, guys? I made the straw (yes it's hollow!) and the cup as well. And also designed the logo for AiClay Coffee. Posted a photo of the WIP process on Instagram when I was designing it in Photoshop, and someone commented 'AiClaybucks'. Teeheehee. Alright, an unzoomed photo now! I'll be back with more photos and stories of my works, catch up with you all later.